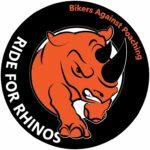 Ride for Rhinos it a 5,500kms motorcycle ride around South Africa. 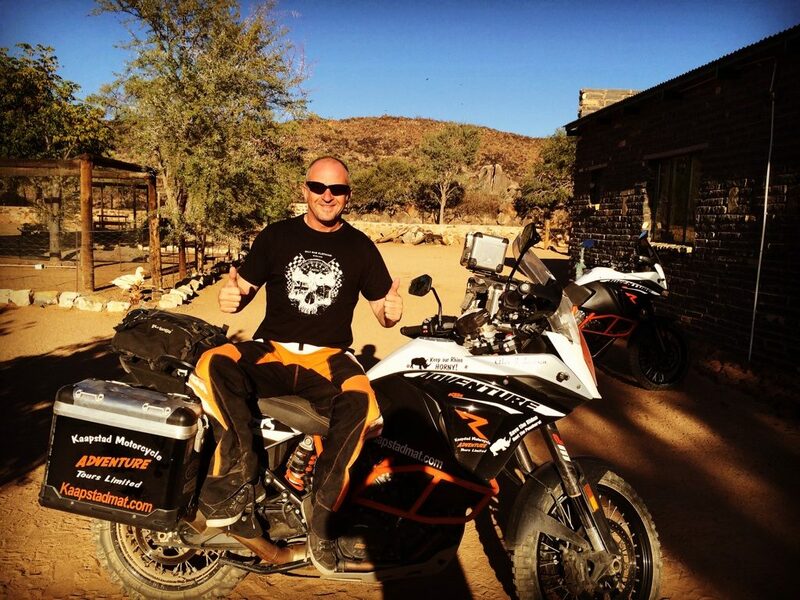 If you know me you will probably be aware that back in 2013/2014 I decided to take on the challenge to ride my KTM 990 Adventure motorcycle around Southern Africa solo. 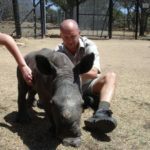 Many of you may have read the blogs on this site about what I found as I explored the conservation projects I visited along the way. It wasn’t a fund raiser but a way of raising awareness about the massive problem face by wildlife due to poaching. Back then it was called “AJ’s Ride for Rhinos” because it was a personal goal/crusade. Now its called simply “Ride for Rhinos” because this time I want to include more of you! The intention is to ride with a group of international motorcyclists and circumnavigate South Africa. We will leave Johannesburg on the 17th September 2017, taking an anti clockwise direction around the country and covering some 5,500 kilometres in 18 days. 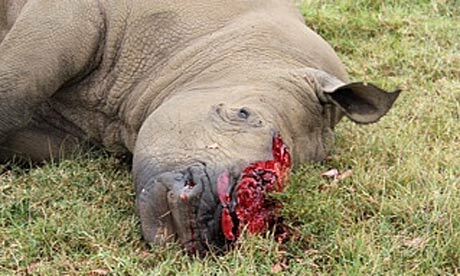 That is approximately 1 kilometre for every Rhino that has been lost in the past 5 years. We will ride mostly on tar but with the occasional gravel road to mix it up a bit. One very special element to this ride will be when we reach Kruger National Park on 29th Sept. We have been given special permission to ride the motorcycles into Crocodile Bridge Camp, where we will stay the night. This is something that has never been allowed before. Special control measures will be put in place on the day to manage any risk involved in doing this. 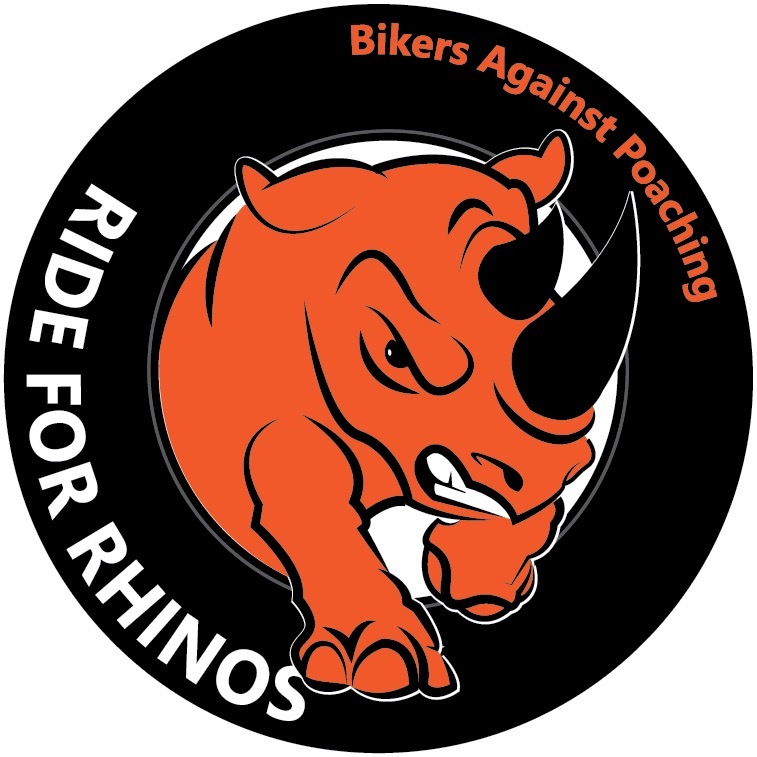 The aim of the ride this time is to raise as much money as possible so that we can buy specialist equipment for the KNP Anti Poaching Unit. Remember these Rangers are out there in the field fighting against the poachers who are sometimes better armed than the APU. We don’t know what we will be buying as yet because we are still waiting for a list of requirements and also to see how much we raise. This problem doesn’t just effect rhinos, it effects all wildlife and the conservation industry around it. Well the obvious first answer is. Come and ride with us! We are welcoming riders from all over the world. The cost is just £3,200 which includes your accommodation from the night of 16th Sept to 2nd Oct inclusive. Your BMW F800 motorcycle hire. Buy a Sticker or Tee shirt that display the Logo. Are you in a club or group in South Africa that is along the route?? Why not get your friends together and come and ride with us for a while. Pay a small donation ( or a big one if you prefer) and get a sticker for your bike. Show you care! Do you run a bike shop? Cafe? Bar? Radio/TV Station that can help us promote? You don’t have to be a Biker! Just get out and support the people riding. There are many ways of getting involved to help this cause and it doesn’t really matter which way you choose so long as you do something to help fight back against the poachers and the criminals that are involved in this sickening crime. This map gives an indication of the places we will be riding through. Finally, I make no apologies for the photo below. This is the truth of what we are fighting against! In the past 5 years we have lost over 5,500 Rhinos alone, thats one for every km we will be riding, as well as countless other animals. There is no excuse other than greed! Please note: None of the money raised during this ride is being spent on the riders or towards their costs. Every person participating in this ride is self – funding. S, M, L, XL, XXL and XXXL £12.00 plus £2.00 postage. Email to info@kaapstadmat.com with name, address, requirements and size. We will then send you details of how to pay. Postage refers to UK only. International posting on request. 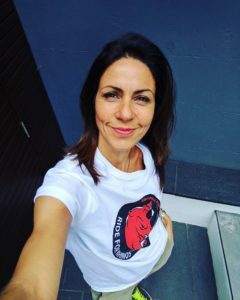 This week we have been lucky enough to secure the support of TV Presenter Julia Bradbury. 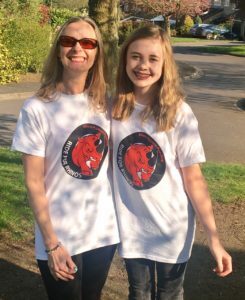 Seen here sporting her Ride for Rhinos T-Shirt. We are hoping for more endorsements soon from some familiar faces. A big thank you to our old friend Henry Cole of The Worlds Greatest Motorcycle Rides fame for this message of support.